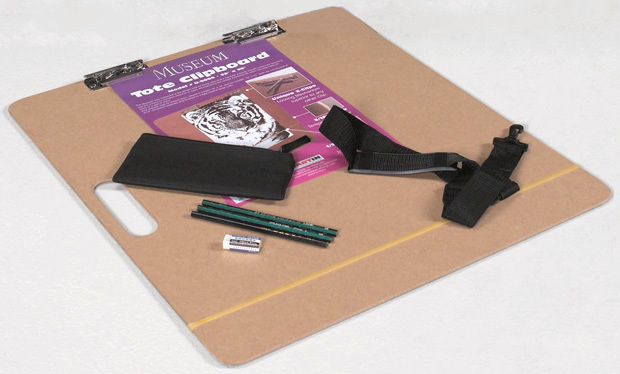 * The Leonardo is a Drawing Kit, including an Art folio, made in one Sized to fit the large Museum Tote Clipboard, Plus the 22 x 25" Clip Board, a handy removable tool bag, artist eraser and 3 artist drawing pencils. 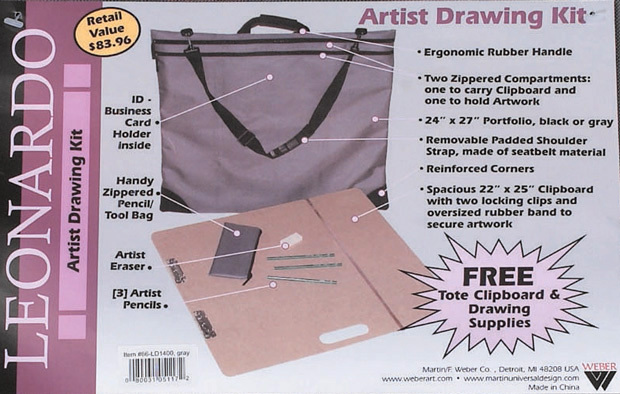 * Overall size of Art folio: 24 x 27 inch - Black. 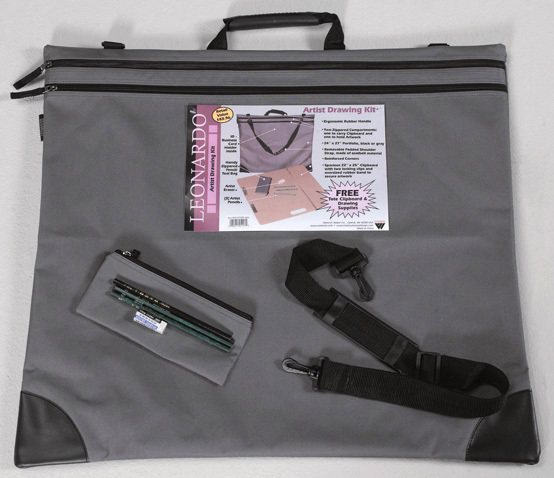 34" x 25" x 3"